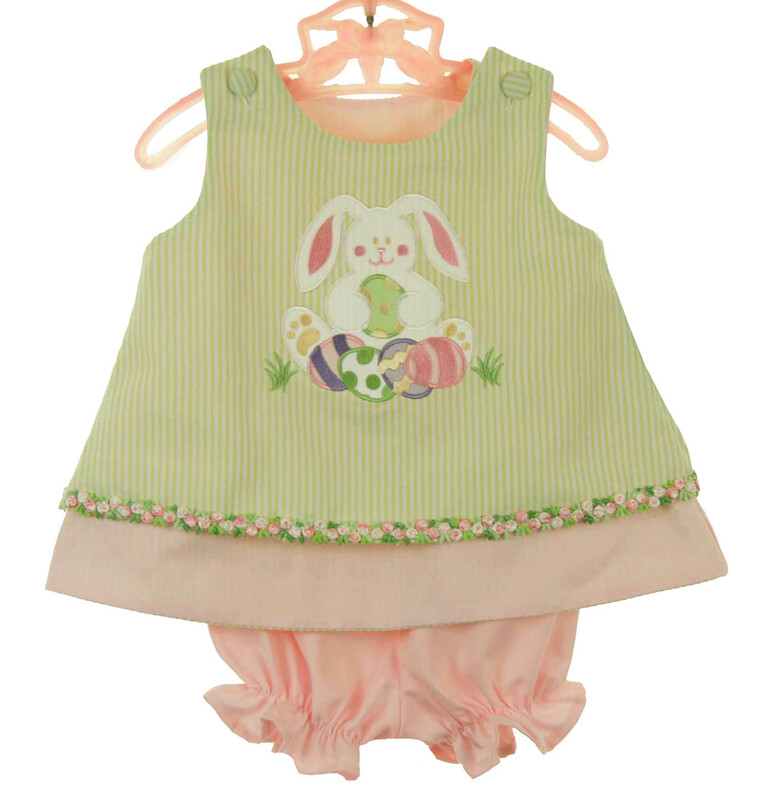 This adorable little green and white striped cotton oxford dress set is made by Glorimont, a leading manufacturer of reversible appliqued children's clothing for more than 30 years. 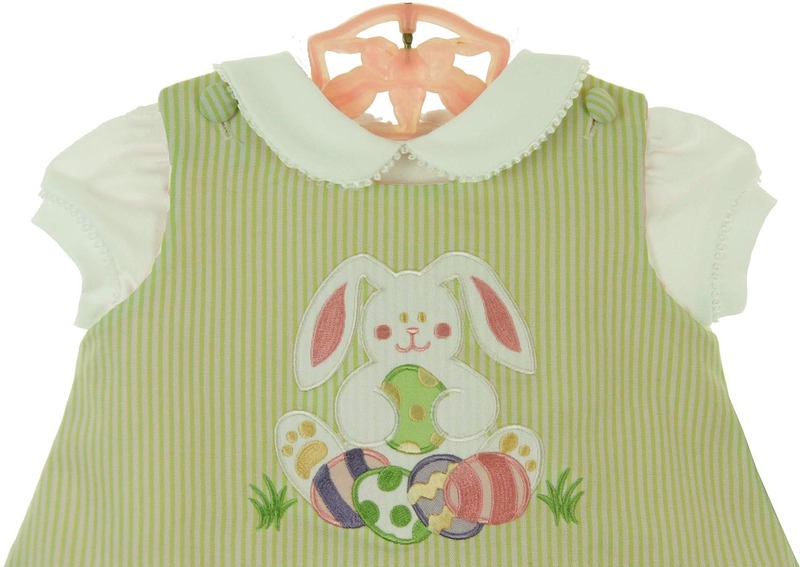 The dress features an appliqued bunny with Easter eggs on the front, with a row of pink flowers topping the pink bottom hem. Shoulder buttons ensure ease of dressing. 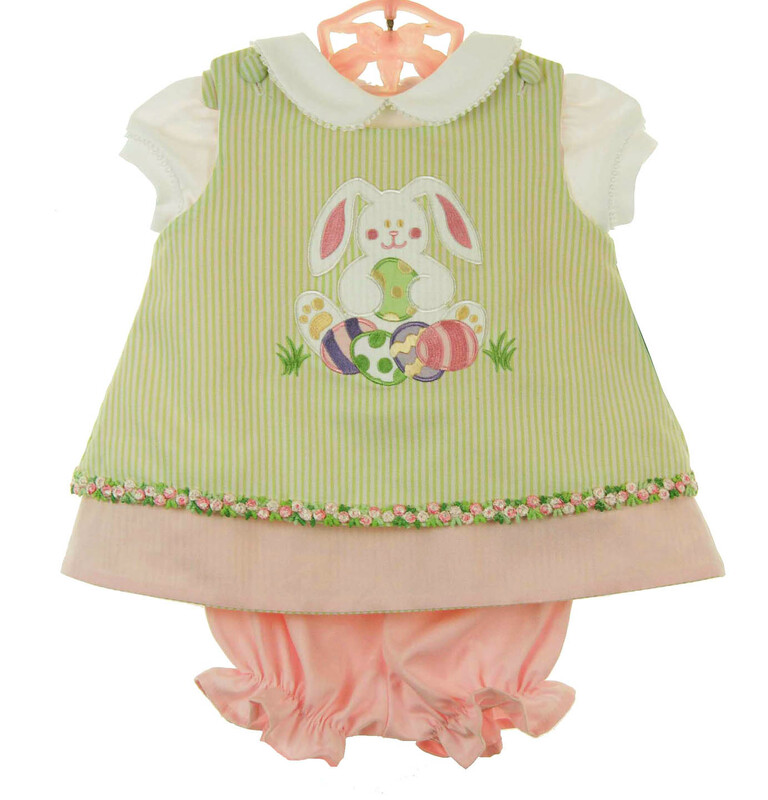 The dress reverses to solid pink edged with green striped trim topped by three rosebud centered bows. (see pictures below). A matching pair of pink cotton pantaloons is included. This darling dress can be worn alone in warmer weather or with its matching white cotton knit shirt with picot edged Peter Pan collar, short puffed sleeves, and back zipper (pictured separately below). 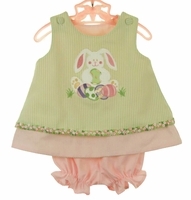 Note: Boys outfit is also available. See below.